What Exactly is EMF and Where does it come from? This has been a question I have wanted to explore in more detail ever since I first heard of EMF. It is commonly mentioned among paranormal investigators and EMF detectors are frequently used as part of investigations involving paranormal activity. But why? And what did I miss in Science class? The following article is just a scratch on the surface as to what EMF is and how it affects us as humans on this planet. The Earth's magnetic field is similar to that of a bar magnet tilted 11 degrees from the spin axis of the Earth. The problem with that picture is that the Curie temperature of iron is about 770 C . The Earth's core is hotter than that and therefore not magnetic. So how did the Earth get its magnetic field? The intensity and structure of the Earth's magnetic field are always changing, slowly but erratically, reflecting the influence of the flow of thermal currents within the iron core. This variation is reflected in part by the wandering of the North and South Geomagnetic Poles. Magnetic fields surround electric currents, so we surmise that circulating electic currents in the Earth's molten metalic core are the origin of the magnetic field. A current loop gives a field similar to that of the earth. The magnetic field magnitude measured at the surface of the Earth is about half a Gauss and dips toward the Earth in the northern hemisphere. The magnitude varies over the surface of the Earth in the range 0.3 to 0.6 Gauss. The Earth's magnetic field is attributed to a dynamo effect of circulating electric current, but it is not constant in direction. Rock specimens of different age in similar locations have different directions of permanent magnetization. Evidence for 171 magnetic field reversals during the past 71 million years has been reported. The simple question "how does the Earth get its magnetic field?" does not have a simple answer. It does seem clear that the generation of the magnetic field is linked to the rotation of the earth, since Venus with a similar iron-core composition but a 243 Earth-day rotation period does not have a measurable magnetic field. It certainly seems plausible that it depends upon the rotation of the fluid metallic iron which makes up a large portion of the interior, and the rotating conductor model leads to the term "dynamo effect" or "geodynamo", evoking the image of an electric generator. Convection drives the outer-core fluid and it circulates relative to the earth. This means the electrically conducting material moves relative to the earth's magnetic field. If it can obtain a charge by some interaction like friction between layers, an effective current loop could be produced. The magnetic field of a current loop could sustain the magnetic dipole type magnetic field of the earth. Large-scale computer models are approaching a realistic simulation of such a geodynamo. Interaction of the terrestrial magnetic field with particles from the solar wind sets up the conditions for the aurora phenomena near the poles. A fundamental property of magnetic fields is that they exert forces on moving electrical charges. Thus, a magnetic field can trap charged particles such as electrons and protons as they are forced to execute a spiraling motion back and forth along the field lines. As illustrated in the adjacent figure, the charged particles are reflected at "mirror points" where the field lines come close together and the spirals tighten. One of the first fruits of early space exploration was the discovery in the late 1950s that the Earth is surrounded by two regions of particularly high concentration of charged particles called the Van Allen radiation belts. The inner and outer Van Allen belts are illustrated in the top figure. The primary source of these charged particles is the stream of particles emanating from the Sun that we call the solar wind. The charged particles trapped in the Earth's magnetic field are responsible for the aurora (Northern and Southern Lights). The ionosphere has several layers created at different altitudes and made up of different densities of ionization. Each layer has its own properties, and the existence and number of layers change daily under the influence of the Sun. During the day, the ionosphere is heavily ionized by the Sun. During the night hours the cosmic rays dominate because there is no ionization caused by the Sun (which has set below the horizon). Thus there is a daily cycle associated with the ionizations. In addition to the daily fluctuations, activity on the Sun can cause dramatic sudden changes to the ionosphere. The Sun can unexpectedly erupt with a solar flare, a violent explosion in the Sun's atmosphere caused by huge magnetic activity. These sudden flares produce large amounts of X-rays and EUV energy, which travel to the Earth (and other planets) at the speed of light. Extra solar activity in the form of solar flares affects the earth's geomagnetic field. Some great paranormal evidence has been collected during times when there is solar activity such as mega flares and geomagnetic storms. It is unknown why this happens. Paranormal Investigators will watch for high-level periods of solar activity and try to plan investigations during those times or at least document them in order to find patterns of increases in activity. Conditions where either an M Class flare, X Class flare or a Mega Flare has occurred are considered by some to be ripe for paranormal investigations. When the geomagnetic field either indicates an unsettled or storm condition that is another good time for paranormal investigations. A flare is defined as a sudden, rapid, and intense variation in brightness. A solar flare occurs when magnetic energy that has built up in the solar atmosphere is suddenly released. Radiation is emitted across virtually the entire electromagnetic spectrum, from radio waves at the long wavelength end, through optical emission to x-rays and gamma rays at the short wavelength end. The amount of energy released is the equivalent of millions of 100-megaton hydrogen bombs exploding at the same time! 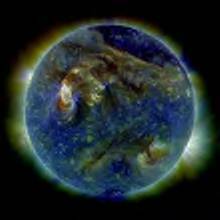 The first solar flare recorded in astronomical literature was on September 1, 1859. Two scientists, Richard C. Carrington and Richard Hodgson, were independently observing sunspots at the time, when they viewed a large flare in white light. As the magnetic energy is being released, particles, including electrons, protons, and heavy nuclei, are heated and accelerated in the solar atmosphere. 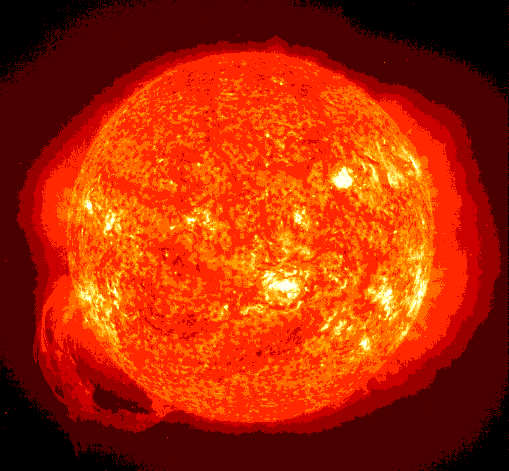 The energy released during a flare is typically on the order of 1027 ergs per second. Large flares can emit up to 1032 ergs of energy. This energy is ten million times greater than the energy released from a volcanic explosion. On the other hand, it is less than one-tenth of the total energy emitted by the Sun every second. Solar flares extend out to the layer of the Sun called the corona. The corona is the outermost atmosphere of the Sun, consisting of highly rarefied gas. This gas normally has a temperature of a few million degrees Kelvin. Inside a flare, the temperature typically reaches 10 or 20 million degrees Kelvin, and can be as high as 100 million degrees Kelvin. The corona is visible in soft x-rays, as in the above image. Notice that the corona is not uniformly bright, but is concentrated around the solar equator in loop-shaped features. These bright loops are located within and connect areas of strong magnetic field called active regions. Sunspots are located within these active regions. 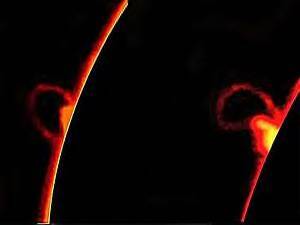 Solar flares occur in active regions. The frequency of flares coincides with the Sun's eleven year cycle. When the solar cycle is at a minimum, active regions are small and rare and few solar flares are detected. These increase in number as the Sun approaches the maximum part of its cycle. The Sun will reach its next maximum in the year 2011, give or take one year. A person cannot view a solar flare by simply staring at the Sun. (NEVER LOOK DIRECTLY AT THE SUN! EYE DAMAGE CAN RESULT.) Flares are in fact difficult to see against the bright emission from the photosphere. Instead, specialized scientific instruments are used to detect the radiation signatures emitted during a flare. The radio and optical emissions from flares can be observed with telescopes on the Earth. Energetic emissions such as x-rays and gamma rays require telescopes located in space, since these emissions do not penetrate the Earth's atmosphere. The solar wind mentioned above is a stream of ionized gases that blows outward from the Sun at about 400 km/second and that varies in intensity with the amount of surface activity on the Sun. The Earth's magnetic field shields it from much of the solar wind. When the solar wind encounters Earth's magnetic field it is deflected like water around the bow of a ship. The imaginary surface at which the solar wind is first deflected is called the bow shock. The corresponding region of space sitting behind the bow shock and surrounding the Earth is termed the magnetosphere; it represents a region of space dominated by the Earth's magnetic field in the sense that it largely prevents the solar wind from entering. However, some high energy charged particles from the solar wind leak into the magnetosphere and are the source of the charged particles trapped in the Van Allen belts. An electromagnetic field (also EMF or EM field) is a physical field produced by electrically charged objects. It affects the behavior of charged objects in the vicinity of the field. The electromagnetic field extends indefinitely throughout space and describes the electromagnetic interaction. It is one of the four fundamental forces of nature (the others are gravitation, the weak interaction, and the strong interaction). From a classical perspective, the electromagnetic field can be regarded as a smooth, continuous field, propagated in a wavelike manner; whereas from the perspective of quantum field theory, the field is seen as quantized, being composed of individual particles. In the past, electrically charged objects were thought to produce two types of field associated with their charge property. An electric field is produced when the charge is stationary with respect to an observer measuring the properties of the charge, and a magnetic field (as well as an electric field) is produced when the charge moves (creating an electric current) with respect to this observer. Over time, it was realized that the electric and magnetic fields are better thought of as two parts of a greater whole — the electromagnetic field. Once this electromagnetic field has been produced from a given charge distribution, other charged objects in this field will experience a force (in a similar way that planets experience a force in the gravitational field of the Sun). If these other charges and currents are comparable in size to the sources producing the above electromagnetic field, then a new net electromagnetic field will be produced. Thus, the electromagnetic field may be viewed as a dynamic entity that causes other charges and currents to move, and which is also affected by them. These interactions are described by Maxwell's equations and the Lorentz force law. Light from the sun is the main source of energy on earth, whether directly or indirectly. Electromagnetic radiation covers basically all aspects of life. Properties of the electromagnetic field are exploited in many areas of industry. 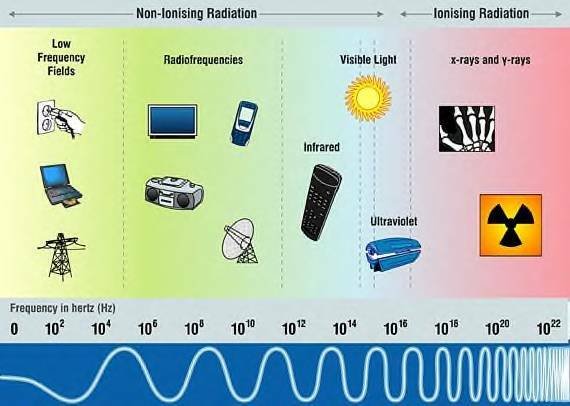 The use of electromagnetic radiation is seen in various disciplines. For example, X-rays are high frequency electromagnetic radiation and are used in radiography in medicine. Other forms of electromagnetic radiation are used in radio astronomy and radiometry in telecommunications. Other medical applications include laser therapy, which is an example of photomedicine. Applications of lasers are found in military devices such as laser-guided bombs, as well as more down to earth devices such as barcode readers and CD players. Something as simple as a relay in any electrical device uses an electromagnetic field to engage or to disengage the two different states of output (i.e., when electricity is not applied, the metal strip will connect output A and B, but if electricity is applied, an electromagnetic field will be created and the metal strip will connect output A and C). Exposure to electromagnetic fields is not a new phenomenon. However, during the 20th century, environmental exposure to man-made electromagnetic fields has been steadily increasing as growing electricity demand, ever-advancing technologies and changes in social behaviour have created more and more artificial sources. Everyone is exposed to a complex mix of weak electric and magnetic fields, both at home and at work, from the generation and transmission of electricity, domestic appliances and industrial equipment, to telecommunications and broadcasting. Man made electromagnetic fields have increased significantly in the past 50 yrs, with the introduction of new technologies. Cell phones are currently the hot topic related to health risks and the effect of electromagnetic fields. There is an ongoing debate among researchers and scientist as to whether their use increases the risks for cancer and other health problems. The use of computers and artificial light are another debate in themselves. The graph above shows the increase in power use from1945 to 2000. 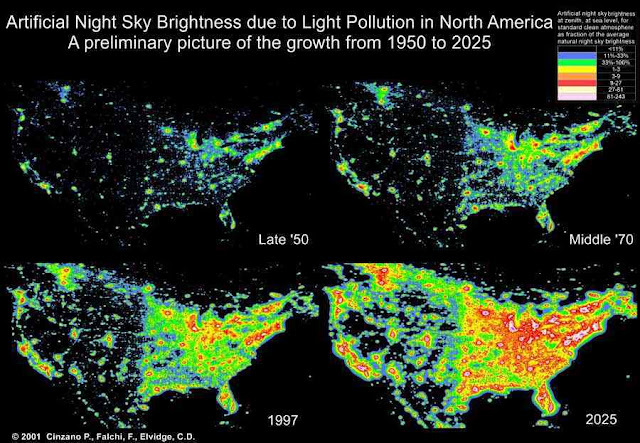 Light pollution is 1 to 1 correlated with electromagnetic energy leaking into the environment. Where there is artificial light there is electromagnetic interferences. Electricity is transmitted over long distances via high voltage power lines. Transformers reduce these high voltages for local distribution to homes and businesses. Electricity transmission and distribution facilities and residential wiring and appliances account for the background level of power frequency electric and magnetic fields in the home. In homes not located near power lines this background field may be up to about 0.2 µT. Directly beneath power lines the fields are much stronger. Magnetic flux densities at ground level can range up to several µT. Electric field levels underneath power lines can be as high as 10 kV/m. However, the fields (both electric and magnetic) drop off with distance from the lines. At 50 m to 100 m distance the fields are normally at levels that are found in areas away from high voltage power lines. In addition, house walls substantially reduce the electric field levels from those found at similar locations outside the house. Many people are surprised when they become aware of the variety of magnetic field levels found near various appliances. The field strength does not depend on how large, complex, powerful or noisy the device is. Furthermore, even between apparently similar devices, the strength of the magnetic field may vary a lot. For example, while some hair dryers are surrounded by a very strong field, others hardly produce any magnetic field at all. These differences in magnetic field strength are related to product design. The measurements above were taken in Germany and all of the appliances operate on electricity at a frequency of 50 Hz. It should be noted that the actual exposure levels vary considerably depending on the model of appliance and distance from it. The Federal Office for Radiation Safety in Germany recently measured the daily exposure to magnetic fields of about 2000 individuals across a range of occupations and public exposures. All of them were equipped with personal dosimeters for 24 hours. The measured exposure varied widely but gave an average daily exposure of 0.10 µT. This value is a thousand times lower that the standard limit of 100 µT for the public and 200 times lower than the 500 µT exposure limit for workers. Furthermore, the exposure of people living in the centers of cities showed that there are no drastic differences in exposure between life in rural areas and life in the city. Even the exposure of people living in the vicinity of high voltage power lines differs very little from the average exposure in the population. 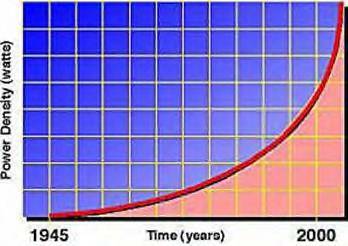 Heating is the main biological effect of the electromagnetic fields of radiofrequency fields. In microwave ovens this fact is employed to warm up food. The levels of radiofrequency fields to which people are normally exposed are very much lower than those needed to produce significant heating. The heating effect of radiowaves forms the underlying basis for current guidelines. Scientists are also investigating the possibility that effects below the threshold level for body heating occur as a result of long-term exposure. To date, no adverse health effects from low level, long-term exposure to radio frequency or power frequency fields have been confirmed, but scientists are actively continuing to research this area. http://phaelosopher.wordpress.com/2009/12/25/big-lies-and-subtle-balance/ which I tend to agree with based on personal experiences with working with body chakra and my experiences in the nursing field. I wanted to include it in this piece as I believe that the study of paranormal phenomena should include learning about how the human body and the brain function. I personally noticed a huge improvement in how I felt physically while experimenting with body energy. I hope that you will take the time to read this article in it's entirety. We are energetic beings with largely unseen electromagnetic fields. Molecular behavior is greatly influenced by the energetic field that surrounds each of us. The state of that field influences the function and/or dysfunction of our body. It also influences our perception, bringing creative clarity or repressive distortion. Restoring balance will eliminate cancer, stroke, heart disease, arthritis, asthma, psoriasis, or any of the many other chronic conditions that billions and trillions are being spent on each year. But the solutions that most funded medical research is focused on, and are being run through clinical trials at the cost of millions each year to the “watch dog” agencies for certification, generally don’t take the body toward balance. They do even less for the mind and spirit. Major evidence of this truth is that the numbers of people entering into chronic conditions continues to rise, with onset occurring earlier than ever. It was a pleasure to learn recently about a procedure that helps bring about a fundamental form of balance, simply and without medication. It is called Alphabiotics. Developed by Dr. Virgil Chrane, out of Dallas, TX, it is a series of movements that can be likened to rebooting the brain which, when placed constantly in a low grade stressed state, assumes a “fight or flight,”or “freeze or faint” position, wherein one hemisphere or the other is dominant. This condition not only affects perception, it affects physiology, beginning with the alignment of the spine. If the spine is not in alignment, information pathways to various parts of the body will be affected, as will energy. When energy flow is disrupted, then life is affected. It is not disputed that electromagnetic fields above certain levels can trigger biological effects. Experiments with healthy volunteers indicate that short-term exposure at the levels present in the environment or in the home do not cause any apparent detrimental effects. Exposures to higher levels that might be harmful are restricted by national and international guidelines. The current debate is centred on whether long-term low level exposure can evoke biological responses and influence people's well being. In the area of biological effects and medical applications of non-ionizing radiation approximately 25,000 articles have been published over the past 30 years. Despite the feeling of some people that more research needs to be done, scientific knowledge in this area is now more extensive than for most chemicals. Based on a recent in-depth review of the scientific literature, the World Health Organization concluded that current evidence does not confirm the existence of any health consequences from exposure to low level electromagnetic fields. However, some gaps in knowledge about biological effects exist and need further research. There are many Physicians and Scientist that will dispute the WHO conclusions. Some members of the public have attributed a diffuse collection of symptoms to low levels of exposure to electromagnetic fields at home. Reported symptoms include headaches, anxiety, suicide and depression, nausea, fatigue and loss of libido. To date, scientific evidence does not support a link between these symptoms and exposure to electromagnetic fields. At least some of these health problems may be caused by noise or other factors in the environment, or by anxiety related to the presence of new technologies. Some individuals report "hypersensitivity" to electric or magnetic fields. They ask whether aches and pains, headaches, depression, lethargy, sleeping disorders, and even convulsions and epileptic seizures could be associated with electromagnetic field exposure. I personally believe that long term exposure to EMF does play a part somehow. I personally experience headaches, nausea, dizzyness and insomnia related to what I believe are EMF related exposure to long hours of sitting in front of my computer screen. I have also experienced some of these symptoms on paranormal investigations and when exposed to overhead power line generators. However, I am not a scientist and I have never been personally involved in a scientific study to prove it. There is little scientific evidence to support the idea of electromagnetic hypersensitivity. Recent Scandinavian studies found that individuals do not show consistent reactions under properly controlled conditions of electromagnetic field exposure. Nor is there any accepted biological mechanism to explain hypersensitivity. Research on this subject is difficult because many other subjective responses may be involved, apart from direct effects of fields themselves. More studies are continuing on the subject. But, According to Dr. Nagi Hatoum, M.D., M.S.E.E. A study of suicide rates in 138,905 male electric utility workers, published in the Western Journal of Medicine, showed a correlation between estimated exposure to extremely low-frequency electromagnetic interferences and a significant increase in the risk of suicide. Even stronger associations, up to a 3.5-fold increase, were found in men younger than 50. A separate report by Pacific NW Laboratory postulates that exposure to ELF is a potential contributing factor in depression. ELF fields may interfere with hormonal secretions which may exacerbate existing depression, or contribute to an onset of depression. In another study, Dr. Wolpaw examined the brain functions of monkeys exposed to 60 Hz magnetic fields. He measured the levels of neurohormones in the spinal fluid of monkeys thus exposed for three weeks. It was found that the levels of serotonin and dopamine were significantly depressed immediately following exposure, and that only the dopamine returned to normal levels several months after. Changes in serotonin levels are known to be associated with depression. For example, lowered levels of this chemical in the brain have been linked to an increase in suicide frequency. Baboon exposed to 60 Hz powerlines expressed different behaviors according to Dr. Easley. The 60-Hz electric field had significant effects on the social behavior of baboons because it triggered a stress response. Electromagnetic interferences on the nervous system should get more attention and research. Prior to the recent post industrial revolution, human exposure to electromagnetic energies was restricted to natural occurring radiation. In the last 50 years, man made electromagnetic energy leaking into the environment has grown exponentially. This leaked electromagnetic energy is not intentional and causes interferences with the environment and human body. And so the debate over health issues related to exposure to electromagnetic interference continues. I hear the "Ghost Hunters" on TV tell their clients all the time that High EMF can cause hallucinations. But I have never heard them say how they know this or where this information came from or what experiments have been done to prove it. So I decided to do a little digging for myself to find out. I visited the World Health Organization website, Several government control websites, NASA websites, Numerous online physician and medical university websites, and did an extensive EMF and hallucination google and bing search. The majority of sites that I found claiming that EMF causes hallucinations, were paranormal websites discussing high EMF and most mentioned the theory but none provided any scientific sources or proof. I also found one reference to a DR Michael Persinger, who has been involved in unusual forms of brain/EMF interaction research for quite some time. Probably best known for claiming he could reproduce an alien abduction experience using EMF exposure alone! There were numerous articles related to Dr. Persinger regarding a so called " God Helmet". This has opened up a whole new set of articles for me to explore that I wont go into on this particular post and I look forward to reading about his experiments and claims. However, I also found numerous medical websites that actually use pulsing EMF exposures and electromagnetic therapy to treat hallucinations and epilepsy. So I am going to do some more digging and reading before I accept or refute the theory that exposure to EMF causes hallucinations. At this point in my research I have found no evidence that exposure to EMF causes hallucinations at all and was actually left more confused than enlightened. However I will save this subject for a future post when I have had more time to research it. I would recommend though that if high levels of EMF are detected in an area where a paranormal experience has occurred. That this not be ruled out as a possible cause. It is possible that these high level exposures could be having an effect on perception as there are suggestions that high levels of EMF have an effect on dopamine, seratonin and melatonin levels in the brain. That high levels of EMF over long exposure times, do affect sleep patterns, chemical imbalances in the brain and immune system and nervous system functions. So the possiblility that they could produce hallucinations is possible. There are several method to reduce exposure to electromagnetic interference. The most frequent method is shielding and the use of ground wire. Some building codes require installing powerline inside steel pipes. There are also many websites which advertise sheilding devices for cell phones and computer usage. I even found one website that sells a crystal that you wear around your neck that supposedly nutralizes harmful magnetic fields. But, the number of new patented ideas and gadgets were far too numerous to list in this article. What we suggest for starters is to have your electrical outlets and or your home tested. Paranormal Investigators do this with their EMF meters to get baseline readings when they investigate your home. EMF meters will detect sources of high EMF emmisions from electrical appliances, outlets, power and fuse boxes, etc. If a location gives off a high reading, then long term exposure to these areas should be avoided. If a power outlet next to your bed gives off a high reading next to your head every night, then rearrange your furniture, have your electrical wiring checked by a professional electrician and limit your exposure to these areas as much as possible. One of the most common sources we find as investigators is beside alarm clocks and radios. But don't panic! Remember :WE ARE ALL ELECTROMAGNETIC BEINGS. The human body grounds electromagnetic radiation in the environment because of the electrical conductivity of our body. It is attracted to us. All living systems are based on electromagnetic energy. 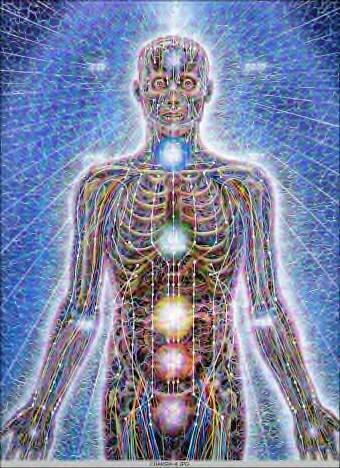 Every cell in your body is generating an electromagnetic field, every plant, every rock, the planet itself, the whole universe is made up of energy. 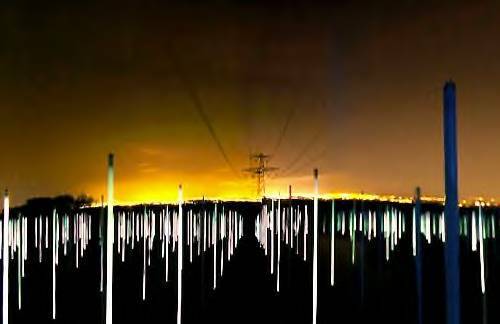 It is true that man-made electromagnetic radiation is not the only source of random photons in the environment, but the problem is these frequencies which we have never encountered before are a whole different spectrum of frequencies than the living system uses. We have to use common sense to protect ourself whether science has proven a health risk or not. Why take the chance? 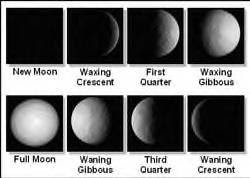 Lunar phases also affect the earth's geomagnetic field. The earth's electromagnetic field is affected when the moon is closer, such as when it is full. People and paranormal activity are both influenced when the gravitational force is affected during a full moon. Many health care and emergency medical and law enforcement personel agree that full moon phases affect mental health and increases in crime and erradic behaviors. Having 20 yrs of nursing under my belt, I consider myself one of the many, who believe that the full moon in some way , has an effect on human behaviors. It has been a common joke among nurses that when odd behaviors increase, that it's because of the full moon. More paranormal activity seems to happen with the full moon and is reported by some paranormal investigators while other investigators do not notice this fluctuation. Thunderstorms and lightning are also thought to be good for having success with a paranormal investigation. 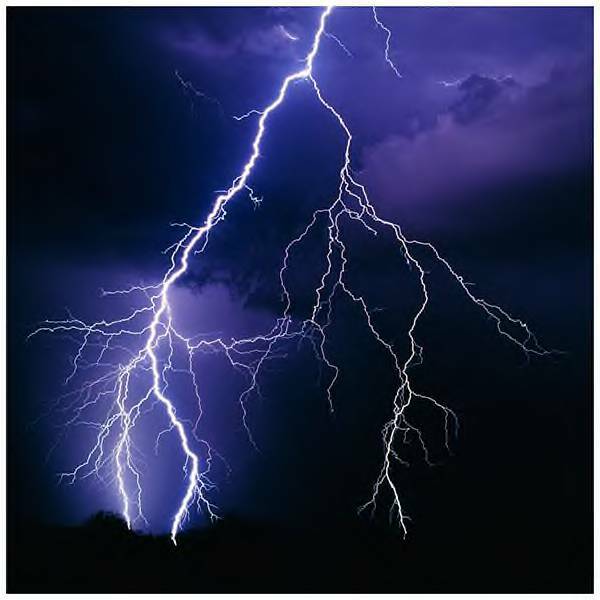 It is believed that during a thunderstorm a higher vibration frequency is reached by both the living and the not so living, which can make the odds a bit better for somebody to experience paranormal activity. It is also believed that the solstice and equinoxes that occur every year present more opportune times for paranormal investigation. This is not based on science; it is because cultures from around the world believe that the solstice and equinoxes are a supernaturally important time. I hope that this gathering of information will help our team and others understand the basic concepts behind Electromagnetic Fields and their origins. There is an abundance of information as well as theories out there that are yet to be explored. Solar flares imaged by the TRACE satellite. Photo courtesy NASA. 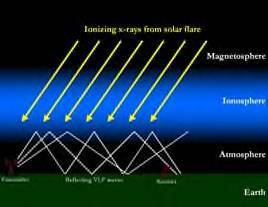 The Earth’s ionosphere and reflecting of VLF radio waves. Awesome post and great work Angela! I'm going to require every one of our investigators to read it carefully and print it for their training notebooks. I learned some new things. Keep up the outstanding work! - Mike, NAPS, Natchez, MS.
What do you think about the anti EMF devices?